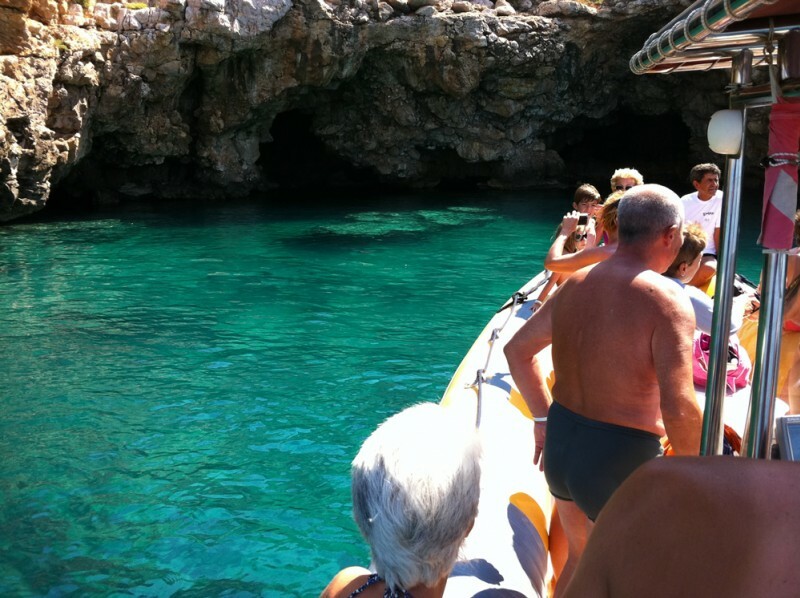 Exceptional for sea lovers, this excursion lets you discover the most beautiful coves of the Ionian Coast. Boat trip from Porto Cesareo to Santa Caterina. 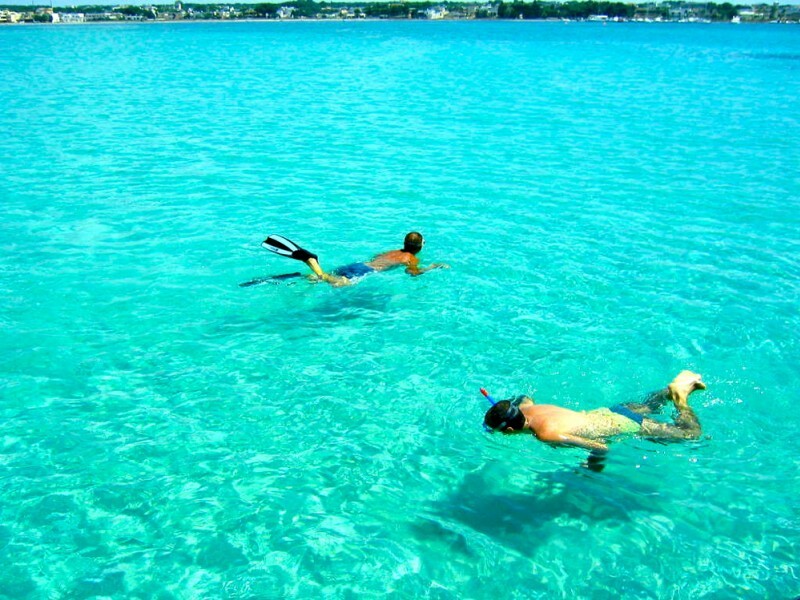 Swimming and snorkeling (optional) in the wonderful bay of Portoselvaggio and Torre Uluzzo. Drinks and dive masks will be available on board (included in price). During the tour there will be an environmental guide or a marine biologist, who will explain the natural beauty of the coast and of the sea bottom. Suggested equipment: swimsuits, beach towels, hat and sun cream. Morning from 09.30 to 12.30 Afternoon: from 15.00 to 18.00. In a single morning, you will navigate along the 30 km. of coastline that characterize the Protected Marine Area from Porto Cesareo to Punta Prosciutto. - Torre Castiglione and Punta Prosciutto: chance to swim in one of the best coastline stretches of Puglia. 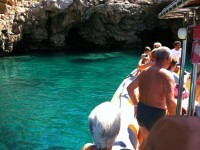 - Isola della Chianca: second chance to dip into crystal clear waters (max depth 1.50 m). 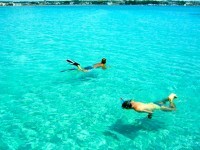 Included in the price: professional guide, masks for snorkeling, soft drinks and snacks. Morning : from 09.00 to 12.30 - afternoon: 15:00 to 18:00. 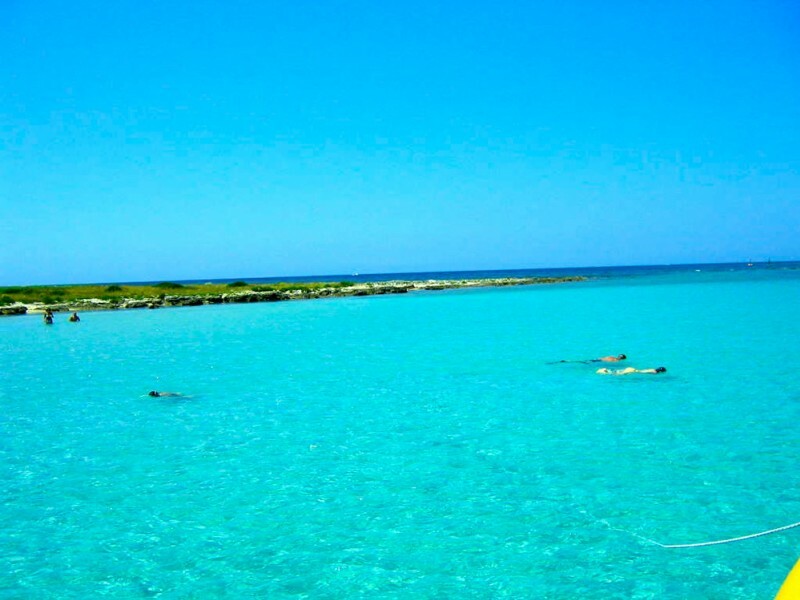 Departure from Porto Cesareo every Saturday at 08:15 hours. Meeting with the guide and transfer by coach to Leuca. Arrival and boat ride to visit the caves. 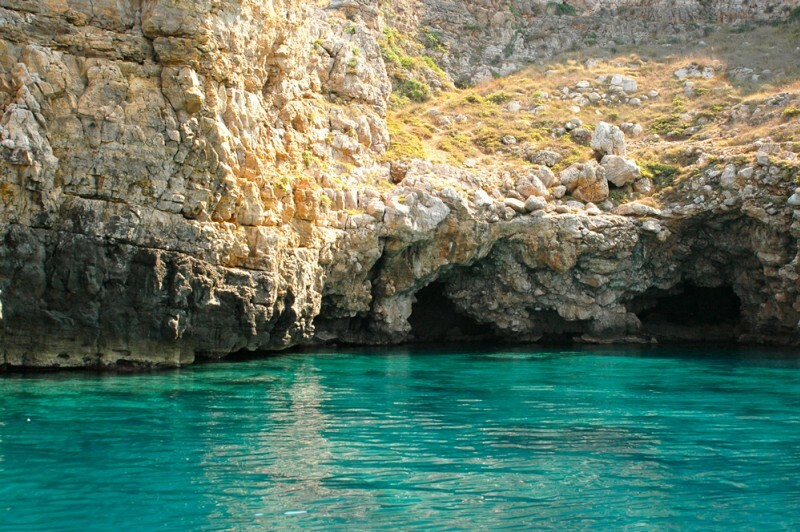 The transparency of the water makes this stretch of the Ionian coast one of the most beautiful ones in Apulia. There will be a chance to swim. Once back to the port, the excursion will continue with a guided tour of Leuca: the nineteenth-century Art Nouveau villas, the Shrine of St. Maria De Finibus Terrae, the Lighthouse and the end of the Apulian Aqueduct with its magnificent staircase. Saturday morning from 08.15 to 13.15.